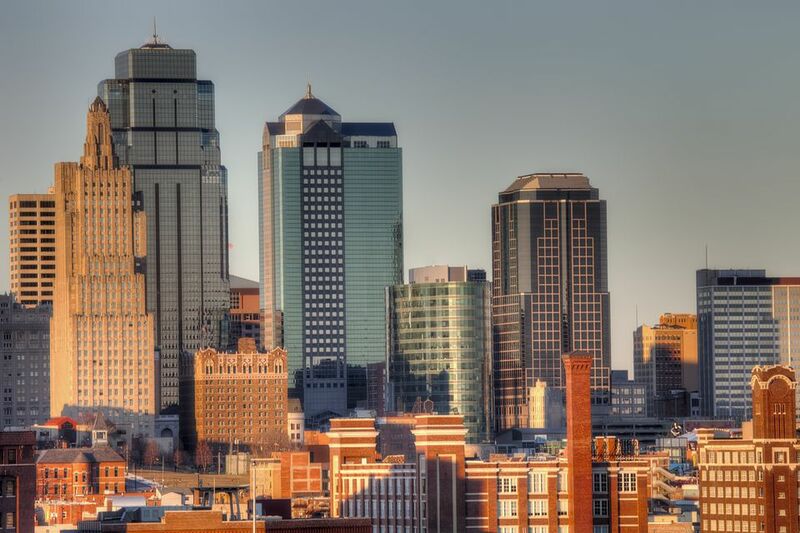 When it comes to romance, Kansas City has some of the best restaurants in the country to dine out with your special someone. From pretty French bistros and restaurants with an old-world charm to culinary temples with views of the city skyline, these are the eight most romantic restaurants in Kansas City. This charming, unpretentious French bistro, located on the edge of downtown's River Market, has diners exclaiming "Oui!' The small tables and candlelight exude French warmth, and the restaurant has an ever-changing menu and an attentive waitstaff willing to offer recommendations. Chef-owner Mano Rafael cooks up an entire list of classic French bistro fare like escargots provencales and steak au poivre, plus he adds daily haute cuisine specials. If you go, you may even hear the quirky chef singing from the kitchen. Although Piropos moved from its beautiful Parkville location to Briarcliff Village, it didn't lose any of its romance. This Argentinean restaurant has stunning views overlooking the city, high ceilings, and a charming ambiance. Armed with a to-die-for menu and a highly trained wait staff, the chef turns out classic Argentinean dishes like his delicious Lomo a la pimiento con papas a la crema (an 8-ounce peppercorn-crusted filet with potatoes in a brandy-cream sauce). Lidia's puts the "R" in Romance thanks to a huge fireplace, dimly lit dining room, gorgeous chandeliers, and amazing food, The restaurant has earned a loyal local following due to the consistent quality of the cuisine and top-notch service. Don't miss patron favorites like the braised wild boar ravioli and pasta trio. Bluestem chef-owners Colby and Megan Garrelts created this award-winning restaurant. He cooks what he calls Progressive American cuisine, and she is the pastry chef crafting new varieties of American desserts. You should be impressed by their many accolades: Bluestem was a 2015, 2016 and 2017 James Beard Semifinalist for outstanding restaurant in Kansas City. Colby was the 2013 James Beard Foundation Best Chef: Midwest award winner and a 2005 Food & Wine Top 10 Best New Chef, while Megan is a James Beard Semifinalist for Outstanding Pastry Chef. Culinary feats aside, Bluestem is just a great place to eat fantastic food, like the burgundy escargots or scallops with bacon and truffles and her bittersweet chocolate toffee tart. Add the intimate feel and perfect lighting, and you have one of the most romantic fine-dining establishments in Kansas City. Before the meal, hit the wine lounge for a sip of vino from a long list of local and international options. Italian charm and amazing culinary delights await you at Jasper's, where chef-owner Jasper J. Mirabile Jr., creates dishes from his Sicilian background, leavening them with Tuscan and Piemontese influences. For this, Zagat named Jasper's one of America's top 25 Italian restaurants and Travel & Leisure called Jasper's one of the top Italian restaurants in America. Every night, Jasper cooks up signature specialties like shrimp Livornese, lobster ravioli, and scampi Marie Antoinette. The chef underscores the place's warm, inviting atmosphere with impromptu visits to guest tables and other personal touches that endow the eatery with service like no other. This famed Westport restaurant is a favorite spot of many Kansas Citians. The interior is a study in dark wood decor, and the inviting fireplace and street views give Californos the aura of romance. The restaurant offers several cozy niches for private dining where guests can feast on New Zealand lamb chops followed by a vanilla bean creme brulee. Add an extensive wine list, and Californos is perfect for intimate wining and dining. Walking into Brookside's Aixois, and you might get the feeling you're inside a restaurant somewhere in Paris. The lovely French bistro, located in the Shops at Crestwood, is romantic dining at it's finest. Huge windows overlooking Brookside Boulevard and the Trolley Trail are the backdrops as chef-owner Emmanuel Langlade serves up delicious French cuisine that includes everything from frog legs and duck to crêpes. There is something romantic about the very nature of the Union Station train depot, which might have something to do with the history of the architecture. Pierpont's at Union Station has taken full advantage of that, creating Kansas City's premier steakhouse and seafood restaurant amid soaring ceilings and an impressive mahogany bar. Enjoy culinary delights (and an endless wine list) by candlelight or in one of the private dining options.